Minh was introduced to dance at the age of 13 by Linh Rateau. After 4 years of assisting John Huy Tran, Minh became Dancenter’s Hip Hop teacher in 2012 and has continued to teach Kids, Teens and Adults. Minh is a member of professional dance company ‘Urban Dance Group’ who train daily at Dancenter and regularly perform in Vietnam. Minh and UDG have entered many competitions both in Vietnam and overseas, Minh competed in the 2013 season of So You Think You Can Dance and took 8th place. 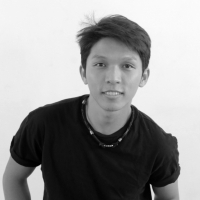 Minh is a versatile dancer, trained in Jazz, Hip Hop and Contemporary, in his teaching Minh fuses dance styles together which enables him to expand his dancing and keep his students inspired.